Since old-style course textbooks are still being sold by a big number of bookstores, increased use and benefits of eBooks are showing that technology in the classroom is becoming more and more popular nowadays in this digital world. 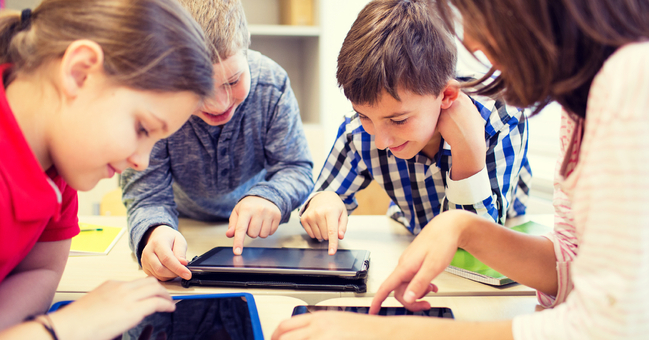 Younger and tech-savvy students are more interested and engaged in using technology in the classroom due to the incredible technological advances and use of e-books is the strong example. There are a lot of reasons why e-books are better than printed or textbooks; these could be a most cost-effective and efficient way of learning. However, still, there are so many people who refuse to download an e-book and consider printed books as the only great way to read and learn. E-books have numerous advantages over printed or paper books, and some of them are listed below here. Availability is one of the major benefits for students that E-books offered. As these are in digital documents, eBooks are never out of print and everyone can download easily from specific online resources or can get from the online library. You will only need a mobile device or computer connected with internet to download or buy an e-book from the online bookstore. In simple words, we can say that technology in the classroom is making things easier and favorable for students. Benefits of eBooks for students are countless and compatibility is one of them. Once a course eBook downloaded, you will be able to copy it in your different devices to make reading easier and convenient as well. Almost all eBooks are compatible with multiple devices such as e-book reader , smartphone and laptop etc. If it is stored on cloud storage, you can easily access it from every corner of the world with help of internet connection. Through this way, chances of losing your favorite book are always lower as it can be downloaded easily from cloud storage even if your device is not working properly. Since education professionals always suggest note-taking and underlining the content for improved and better learning, it could be done greatly with an e-book. For example, when you underline or highlight text on a book purchased by Booksrun Company, your book will become ugly and hard to read but on another hand, you can save an eBook as a new file to take notes or underline its content. At the end, you will enjoy improved reading if you have an e-book instead of printed one. Storage is one of the key benefits of eBooks wins out over printed books. A printed or traditional book may require big space in your school bag but an eBook will only require few MBs from your device or memory card. In results, you will be able to carry hundreds of eBooks in a tiny SD card or mobile device which is easy to fit in the pocket. On another hand, traditional books are heavy and large as well that could be hard to carry even 4 to 6 books in a bag. Undoubtedly, technology in the classroom is playing a vital role by providing an improved learning environment in terms of reduced irritations due to the benefits of eBooks for students. As a student may misplace the last reading page and forget as well, an e-book can save the reading place for its reader to make retrieval simpler and easier also. It would definitely be expensive to buy a printed or traditional course book but the purchase of eBooks is always easier and cheap as well. When buying or downloading an eBook, you are not going to pay for the paper but it will only take few MBs from your device’s storage. Shipping charges for E-books are also zero as you are downloading them yourself using an internet connection and nothing else to do more. When writing or making copies of e-books, no trees have to be sacrificed as eBooks are digital documents and can easily be copied for several times without the use of any extra thing or material. That is the reasons, E-books are eco-friendly as you will be protecting forests by shifting to eBooks from traditional books in order to enjoy fresh healthy air & environment. It will take a few moments to convert an e-book into audiobook that a printed book wouldn’t allow you to do. Luckily, most of the eBooks in the market are crated with audiobook features for improved readability and enhanced learning. In simple words, this form of latest technology in the classroom lets the student learn and consume data and information in a great way than ever before.